The International Red Cross and Red Crescent Movement, born of a desire to bring assistance without discrimination to the wounded on the battlefield, endeavours, in its international and national capacity, to prevent and alleviate human suffering wherever it may be found. Its purpose is to protect life and health and to ensure respect for the human being. It promotes mutual understanding, friendship, co-operation and lasting peace amongst all peoples. This Principle states the purpose of the Movement: to protect life and health and to ensure respect for the human being. All Red Cross volunteers, and the paid staff who support them, must work towards these humanitarian objectives. They should seek to prevent and alleviate human suffering wherever it may be found. Red Cross volunteers and staff must also be committed to promoting mutual understanding between individuals, communities and nations, and lasting peace amongst all peoples. The actions and the attitudes of Red Cross personnel towards individuals and towards the various groups which make up the population, are an essential part of achieving these objectives. By promoting tolerance and mutual understanding, and by acting with humanity, the Red Cross and its volunteers and staff can also help to prevent or alleviate conflict. Red Cross volunteers and staff must refuse to discriminate. Every person, whatever their nationality, race, religious beliefs, class or political opinions, must be respected as a human being, and given assistance according to his or her needs. Priority must be given to the most urgent cases of distress. Individual volunteers and staff must assess priorities and urgency when providing assistance, and the Society as a whole must ensure that its services meet the needs of those in the greatest distress. The needs of individuals and groups in the community must be assessed on equal terms, and proposed and existing services must be evaluated as to whether they meet the most urgent identified needs. Where there are urgent unmet needs, the Society must be prepared to initiate new activities, even if these fall outside its usual areas of work. The Society’s responsibility to prepare for disasters and emergencies, and the need to train and prepare volunteers for their role in emergencies, will sometimes justify providing services which would otherwise have a lower priority. However, services can never be justified solely on the basis of generating income, or because they are traditional Red Cross services, when other more pressing needs are not being met. In order to enjoy the confidence of all, the Movement may not take sides in hostilities or engage at any time in controversies of a political, racial, religious or ideological nature. A National Society can only carry out its humanitarian mission throughout its territory if it has the trust and confidence of all sections of the population. Red Cross volunteers and staff must recognise that the Movement cannot take sides in hostilities or speak out on political, religious, racial or similar controversial issues. The Movement is often only able to assist and protect the victims of armed conflict or violence because of its reputation for neutrality. It is therefore vital to its work that this trust and confidence is maintained. A careless or controversial statement or action, by any individual volunteer or member of staff, could seriously undermine this reputation, and prevent the Movement from reaching those in need of its help. National Societies must remain independent of governments and other organisations, and must be seen to be so. The Society must, of course, work within the law, and will sometimes co-operate with the government to provide humanitarian services, but volunteers and staff must work to maintain the autonomy of the Red Cross. It is the Red Cross Society’s independence which allows it to uphold the Movement’s Fundamental Principles, and makes it possible to recruit from, and provide services to, all sections of the community, including those which may oppose the government. Whilst volunteers and staff give their services freely, the Principle of Voluntary Service does not permit them to contravene any of the Fundamental Principles. They must remain impartial when delivering services. They cannot refuse to help anyone, or discriminate between individuals or groups, except on the basis of need. Similarly, this Principle cannot be used to justify refusing to work with other volunteers for reasons which would contravene the Principles. A National Society can only achieve a reputation for neutrality and impartiality if its staff and volunteers are fully representative of the population as a whole, and work together to bring assistance to those in need throughout the entire community. Unity means that volunteers and staff must welcome and actively seek to recruit others from all the different groups which make up the population, and must provide services, without discrimination, through the country. In this way, volunteers and staff can also make a positive contribution towards peace and reconciliation. Red Cross volunteers and staff must be committed to co-operation and mutual support between National Societies. 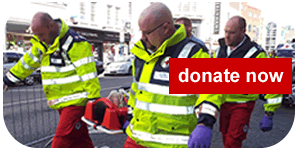 The British and Irish Red Cross Societies support each other’s work and organise various joint activities. Both Societies also provide support, in the form of personnel, money and relief supplies, to other National Societies, and to the International Committee of the Red Cross (ICRC) and the International Federation of Red Cross and Red Crescent Societies (Federation).